The drop in the Port of Hamburg seems to have bottomed out, with stabilization and recovery expected in the second half of this year. 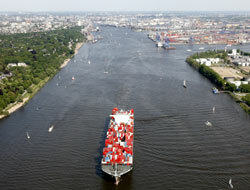 In the first half of 2009, the Port of Hamburg handled a total of 54.2m metric tons, representing a drop of 23.7%. Also reported was a volume of 30m tons of imported cargo, 26.5% less than last year. 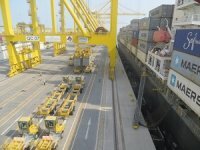 Exports were hit less hard, with a total volume of 24.2m tons representing a fall of only 19.9%. 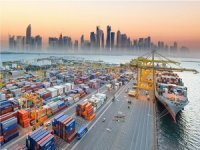 An analysis of the major kinds of major seaborne cargo segments handled in Hamburg shows that general cargo, which makes up a particularly large share of the port"s volume, declined sharply by 27.8%, amounting to only 37m metric tons. Since the level of containerization for general cargo in Hamburg is about 97%, this drop affected container transport most of all. 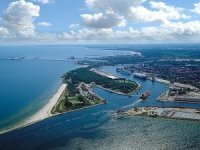 Germany"s largest container port handled a total of 3.6 million TEU in the first half of 2009, representing a decrease of 28.7% compared to the same period in the previous year. However, the slump in cargo throughput had not yet begun in the first half of 2008, which brought Hamburg a volume of 5m TEU and a growth rate of almost 4%. 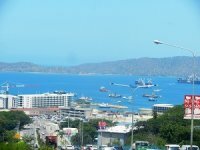 It was not until the second half of 2008 that the worldwide finance and economic crisis began to have massive effects on seagoing cargo transport. Bulk cargo handling in Hamburg, which achieved a volume of 17.2m metric tons in the first six months of this year, was not hit as hard by the global finance and economic crisis as general cargo and fell by only 13.1%. In interpreting the cargo statistics, Claudia Roller, the Port of Hamburg Marketing"s chairperson, pointed out that the comparison between the half year figures of the two years gives an incomplete picture. 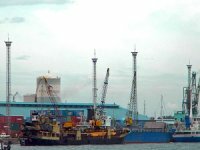 The first six months of 2008 were still a period of growth, while cargo volumes in the first half of 2009 were strongly affected by the impact of the world economic crisis. 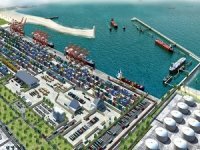 "Investments are continuing and the port and transportation infrastructures are being kept ready to handle a coming upswing. In light of the current worldwide economic situation, with all its uncertainties, I am at the moment hesitant to try to make any definite predictions as to the year end results or further developments in 2010."